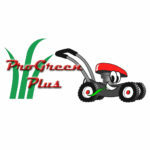 Polaris RZR 4 turned into 640-HP monster truck - ProGreen Plus | Knoxville, TN | Lawn Mower Parts | Riding Lawn Mower Parts | ServiceProGreen Plus | Knoxville, TN | Lawn Mower Parts | Riding Lawn Mower Parts | Service | We've Got Your GRASS Covered! This mini-monster truck has a functional bed and more. A company called High Lifter has created a monster RZR using as many stock Polaris parts as possible. According to the company, that includes the frame (buried inside a bunch of custom tubing), body, seats and steering wheel. Our understanding is that power comes from a 640-horsepower GM small block mated to a Powerglide automatic transmission. We’ve added three videos for you to watch below, where you’ll see the monster RZR put through a short series of preliminary tests. As you’ll see, the beast is a little bit tippy, and the team has since added sway bars. Which is good, because the bigger they are… well, you know the rest.